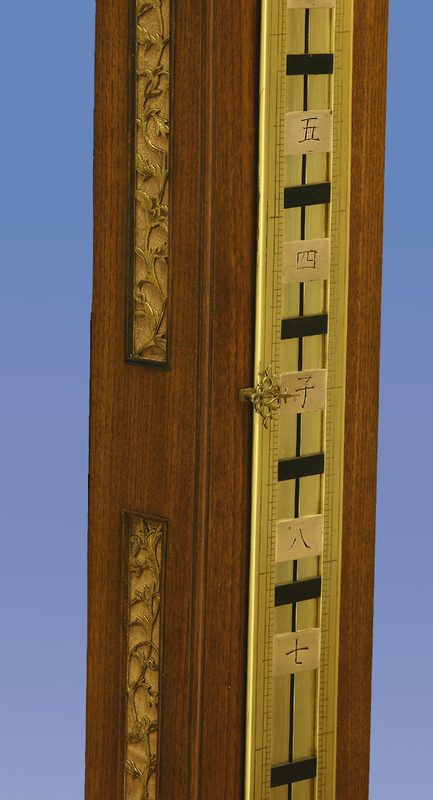 A massive mid-nineteenth century striking stick clock or ‘Shaku-Dokei’. 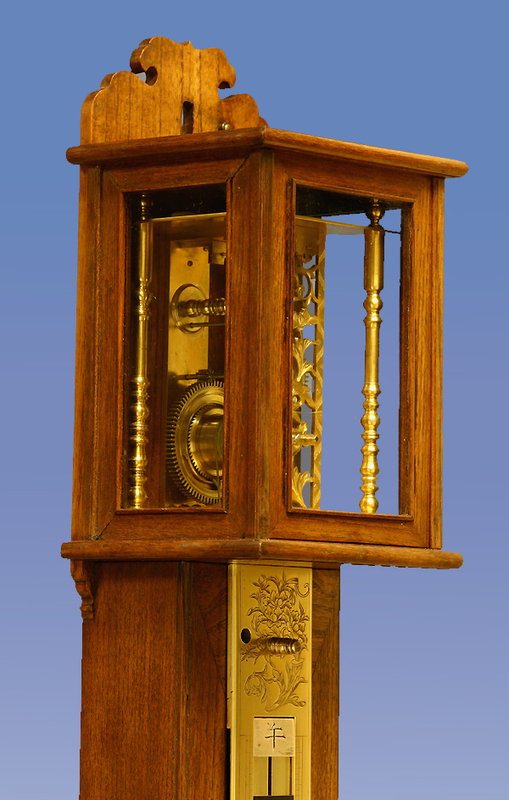 The mulberry wood case has a removable glazed hood with a lift-out front door, two fabric-backed gilt-bronze pierced and engraved frets to each side, a large scale at the front and a drawer for the key at the bottom. 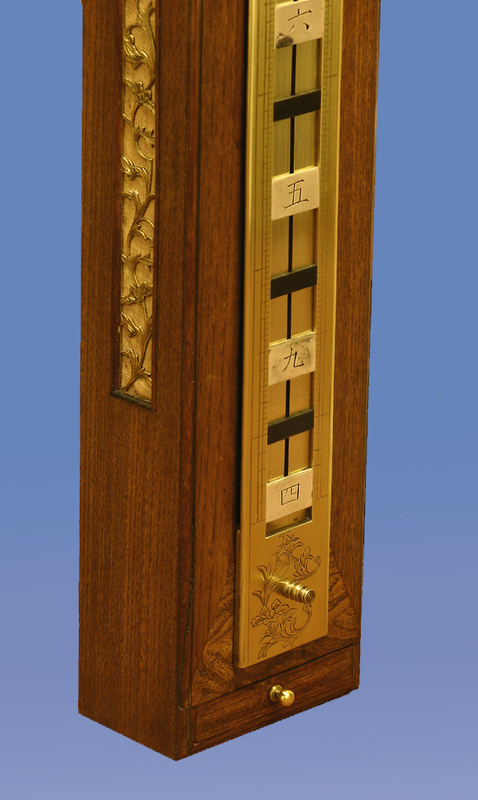 The engraved gilt-bronze time scale is fastened top and bottom by two large turned screws, has silvered and engraved ‘hour’ characters on rectangular plates and shikudo ‘half-hour’ markers. 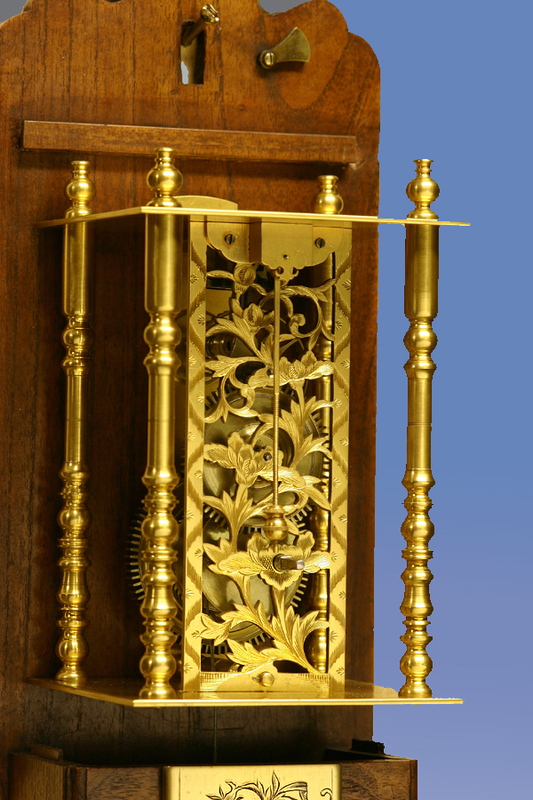 Mounted to the backboard is the gilt-brass going movement with finely cut and spoked gearwork, turned brass baluster columns at the corners, a skeletonized front plate that is pierced and engraved with chrysanthemums and a verge escapement with a pendulum. 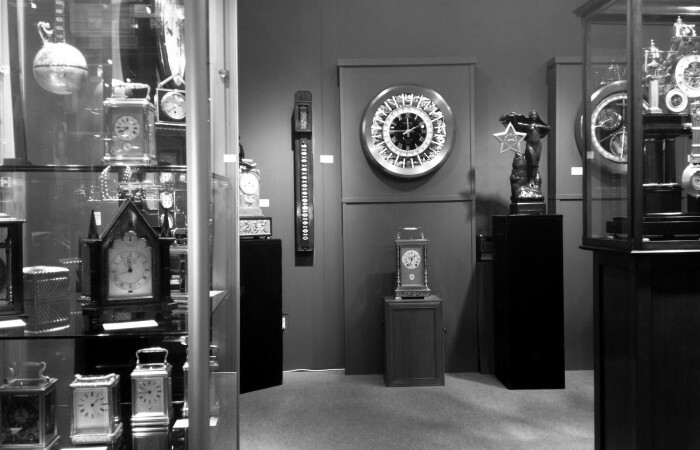 A separate key wound striking mechanism acts as the weight and drives the one-day time mechanism. 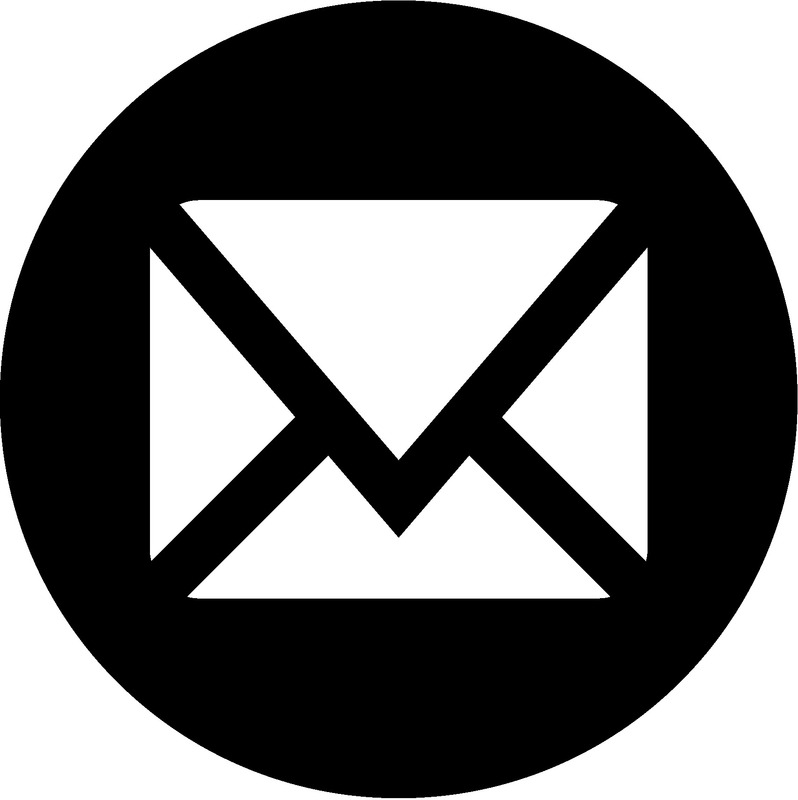 The striking mechanism itself, however, will strike for two full days on a single wind. 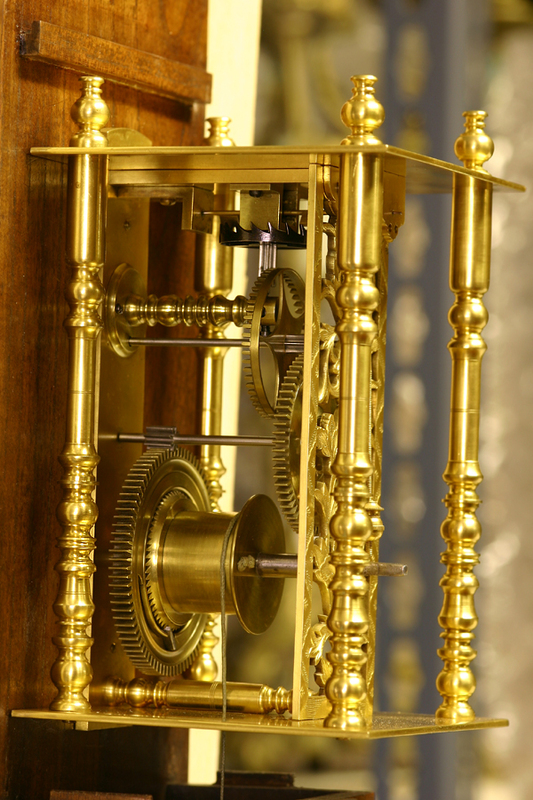 The pierced and engraved hand is carried by the striking mechanism and points to the different characters as it descends through the day. 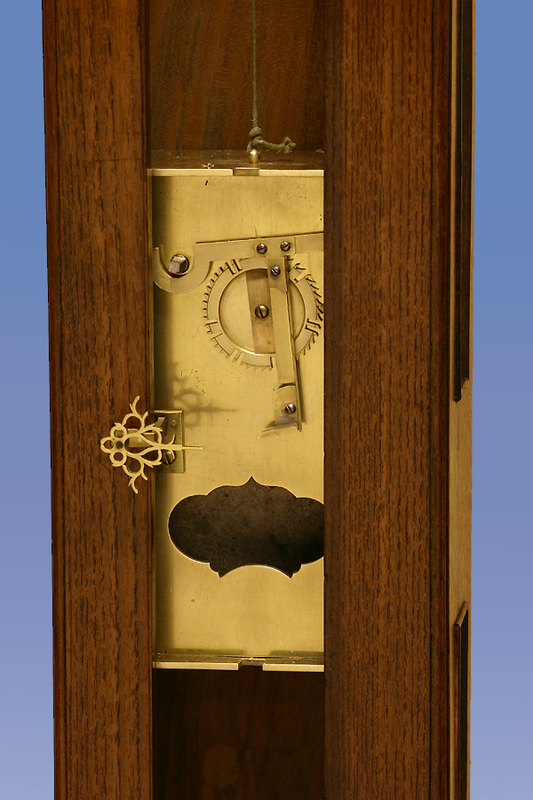 The backs of the ‘numerals’ extend into the case and trip the striking mechanism at the proper intervals. It follows the Japanese sequence of striking two series of nine to four alternating one and two strikes at the ‘half-hours’.